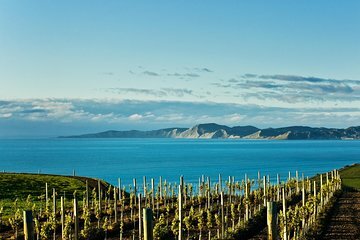 When your cruise ship docks in Picton, take the opportunity to go wine tasting on a tour that visits some of Marlborough’s award-winning wineries. Visit up to five wineries in Blenheim for tastings and vineyard tours, discovering both internationally famous wines and lesser-known New Zealand gems. You’ll also stop for lunch (own expense) and sample locally made chocolates as you head back to Picton at the end of your tour. • Return is a minimum of 30 minutes before the last shuttle departs and 90 minutes before cruise departure. This was an amazing 1/2 day tour! We were a little concerned about it not being an excursion booked through our cruise ship and the strict time constraints but they totally cater to the cruise ship schedules! Before our tour we were even asked what ship we were on and they already knew when we needed to be back so all was good and we could relax and really enjoy the day. The 4 wineries we visited were absolutely marvelous! They were beautiful, the wine was all quite good and the scenery along the way was really top notch. Our tour guide was very knowledgeable and super friendly! All the staff at the wineries really gave us a personal wine tasting for each wine explaining the smell, taste, type of grape, etc. It was just fantastic! The final stop was at the Chocolate factory were we had samples of some really tasty chocolate delicacies. We all bought at least one (or more) boxes of chocolates. Thank you for one of the most memorable tours of the trip! Sue is a friendly and helpful guide. She made the visit very interesting and enjoyable. The wineries were excellent and the lunch venue was fantastic! Highly recommended! Excellent tour visiting several winery’s and a chocolate factory. Lunch at Wither Hills which was not included in the price was the highlight of the day. This wine tour is a must for all those who enjoy good wine and a fun time! Our tour guide Mike took us to 5 different wineries. We travelled though the beautiful Blenheim region,sampled some great wines, had a delicious lunch and ended up in the best chocolate factory I've ever been too. Thanks Mike for a fantastic tour. 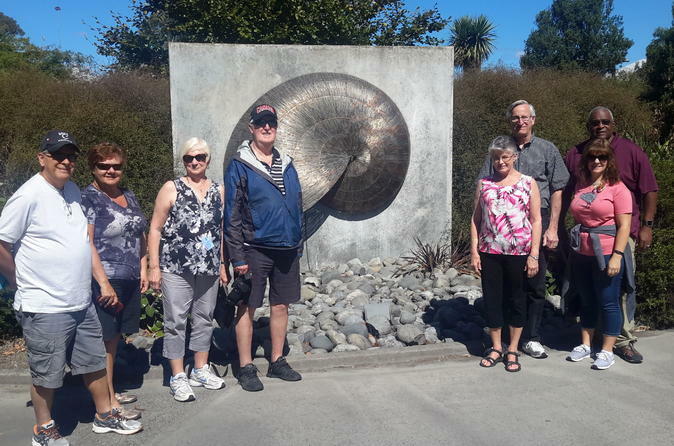 We were taken on a terrific wine tour from our cruise ship in Picton. Mike was very knowledgeable. We sampled multiple wines from 5 wineries. On March 14, we took this excursion with Jade Tours. Sue was our guide and she was both knowledgeable and nice--even took pictures of our group and emailed to us. The tour was just as described we saw 4 wineries with a delicious buy your own lunch at the last one. Then off to the chocolate factory. All done in 5 hours, a plus for seniors. Definitely recommend this tour. This was an amazing tour. Mike led us to 5 different wineries where we had wonderful service and selection of wines to sample. This day was the highlight of our trip! Fantastic personalized tour with a great guide and only four other people. Much better than being on a busload of passengers from the cruise ship and half the price. Picton is small and gorgeous. Our ship arrived early and we took the first bus out to see the little town wake up...good bakery on the corner and while enjoying our pastry and coffee, we watched the sun rise up over the water. Shops in Picton have excellent prices on souvenirs!!! Excursion bus was small and comfortable..we headed out towards Blenheim to start the tour. Our driver was very informative and gave us the best highlights. You have the option to see the aviation museum as your 1st stop. We went on with the excellent wines and beautiful countryside. Make sure you eat a good breakfast or order a snack at the first winery. Lunch was not included but we had a tapas board at one of the winery's. Buy the Gin offered at one of the winery's. Gin was amazing called Lighthouse. The Best! Chocolate stop was over crowded but delicious, so grab a box and move on. Get right back on the bus as soon as you arrive back at Picton.